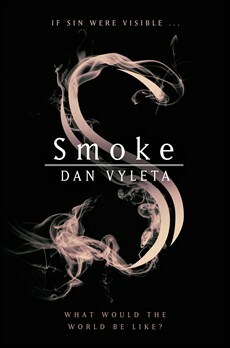 Dan Vyleta’s new high concept fantasy novel was inspired by a quote from Charles Dickens that ponders how much worse London’s pollution would be if “moral pestilence” were visible “how terrible the revelation”. In Vyleta’s nineteenth century, Dickensian alternate England, this is exactly what happens. People smoke when they sin or let their passions get away from them, with the soot that is left behind a visible reminder of that sin. Breathing in someone else’s smoke can also cause a loss of control. Smoke opens strongly with a focus on two teenage boys at an upper class boarding school. The Oxford school is where the well-to-do send their children to be trained in how to control the smoke. Clothes are checked for traces of soot and punishments handed out for those who lose control. In Vyleta’s world, despite changes to people’s physiology, their psychology is not changed and a strict class system is in force. The action in Smoke heats up when Thomas and Charlie stumble on to a realisation that all is not as they have been led to believe by their elders. Harry Potter style, the two are hunted and go on the run with a teenage girl, determined to discover and expose the truth. But there are forces well beyond their control already moving and the three become caught up in much larger political and social movements. Smoke is a strong piece of world building. The heroes are likeable, the love triangle that develops believable and impacted by the rules of the world and their ignorance allows for plenty of reasonably smooth exposition. The plot itself moves in fits and starts, helped along by short point of view chapters from various main and bit players. The final scenes leave plenty of questions left unanswered but with a sequel in the works, this is an intriguing introduction to a fascinating world.